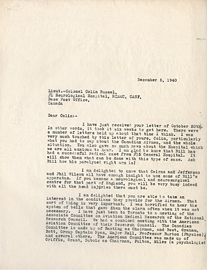 Letter from Wilder Penfield to Colin Russel December 5, 1940. 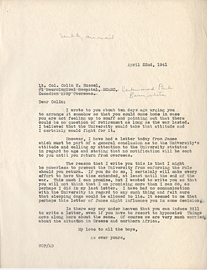 Letter from Wilder Penfield to Colin Russel, April 22, 1941. 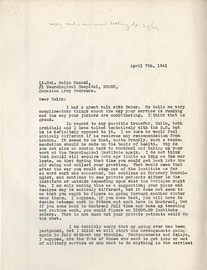 Letter from Wilder Penfield to Colin Russel, April 7, 1941. 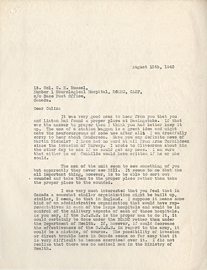 Letter from Wilder Penfield to Colin Russel, August 15, 1940. 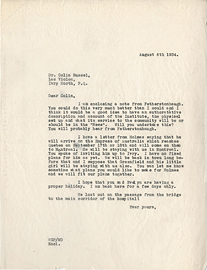 Letter from Wilder Penfield to Colin Russel, August 6, 1934. 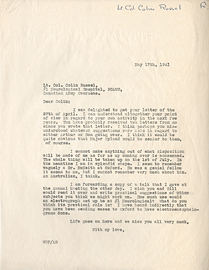 Letter from Wilder Penfield to Colin Russel, July 5, 1940. 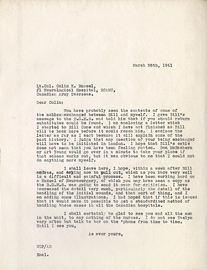 Letter from Wilder Penfield to Colin Russel, March 26, 1941. 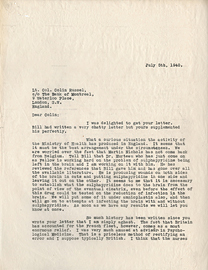 Letter from Wilder Penfield to Colin Russel, May 17, 1941. 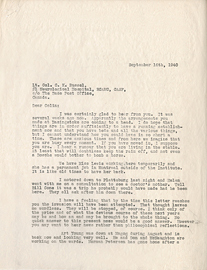 Letter from Wilder Penfield to Colin Russel, September 16, 1940. 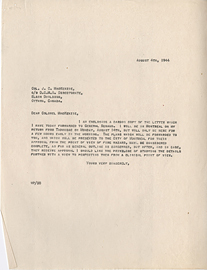 Letter from Wilder Penfield to Colonel J.C. MacKenzie, August 4, 1944. 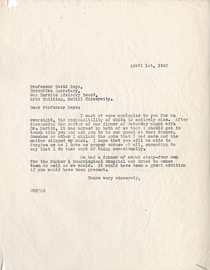 Letter from Wilder Penfield to David Keys, April 1, 1940. 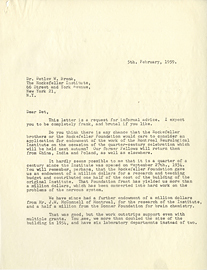 Letter from Wilder Penfield to Detlev W. Bronk, February 5, 1959. 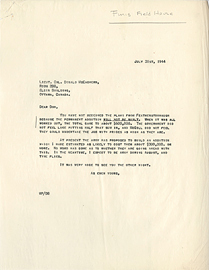 Letter from Wilder Penfield to Donald McEachern, July 31, 1944. 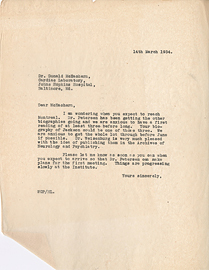 Letter from Wilder Penfield to Donald McEachern, March 14, 1934. 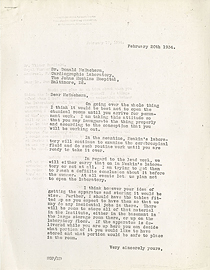 Letter from Wilder Penfield to Donald McEchern, February 20, 1934.